Facile Template is simple and fashional template designed for you to create modern flipbooks, totally free for all FlipBuilder program registered users. Use Facile Template on your flipbooks, people can get help with details tips in Help window, they can also print out pages, download your provided file, preview all pages in "Thumbnail" panel, know book content in "Bookmark" window, etc. 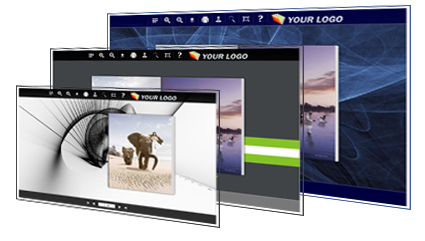 You can use any image to be the background of your flipbook in Facile Template, even animated Flash file. 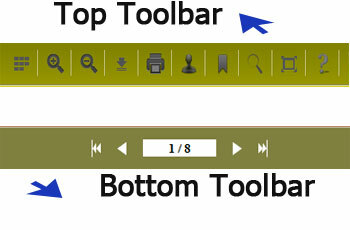 And you can also color for the tool bar and all buttons, to coordinate with background you designed. 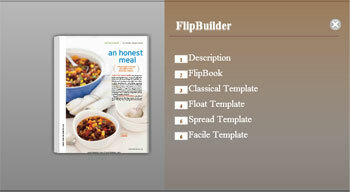 Just use the Facile Template to show your modern flipbook in different effect with customized color and image style. While using Facile Template, you can show bookmarks with designing bookmark panel background to create a unique bookmark style. 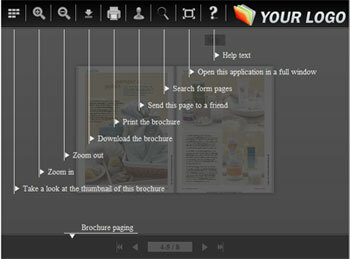 While flipping page to view the book online, people can preview all flipbook pages and click title to open any pages in wonderful designed bookmark panel. Just imagine when people read your flipbook online for the first time, maybe they don't know how to use the toolbar buttons or how to read the fashional flipbook. You can apply Facile Template in your flipbooks, readers can single-click the help button to learn full button tips in Help window. This feature not only helps readers to learn other button features quickly, but also improve reading experience instantly.